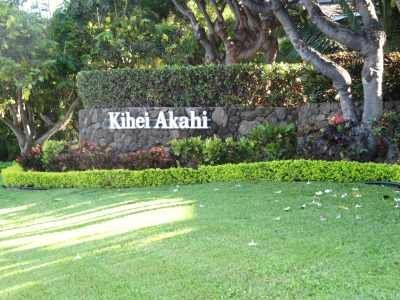 Kihei Garden Estates #C-209: 2Bd Fully Renovated, Ideal Unit in the Complex! 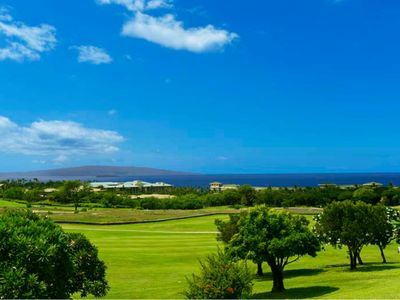 Kihei Garden Estates is a lovely complex right across the street from Waiohuli Beach, which you can see from your private lanai. 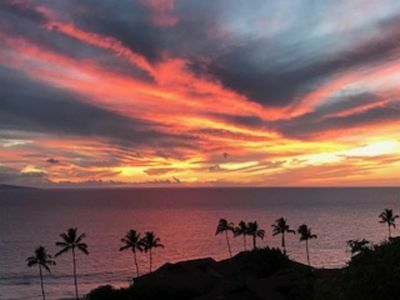 Maui’s famous sunsets are just steps away from your door. 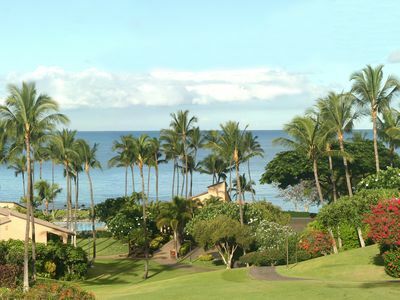 Our home offers everything you need for your perfect Maui vacation. 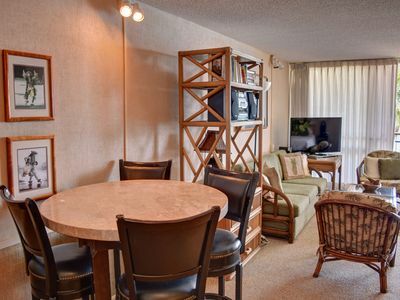 We offer a luxury contemporary loft lifestyle condo with 2 bedrooms and 2 baths. 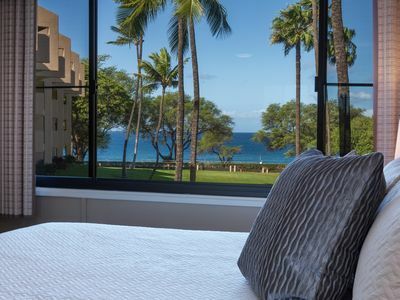 The beds offer the same mattresses found at Hawaii’s five star hotels. 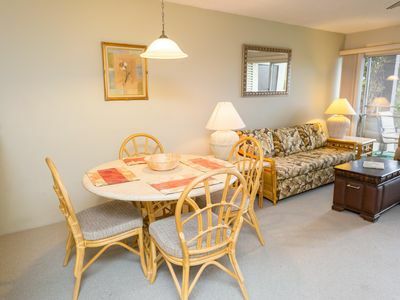 They have comfortable plush toppers, and the luxury linens provide comfort for your stay. 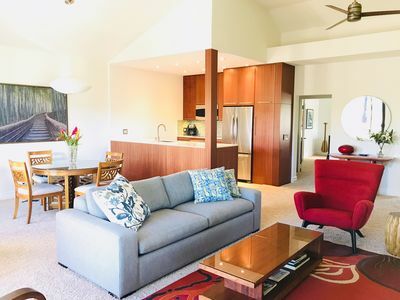 The master loft has a king size bed, plus and en suite bathroom with large walk in shower. 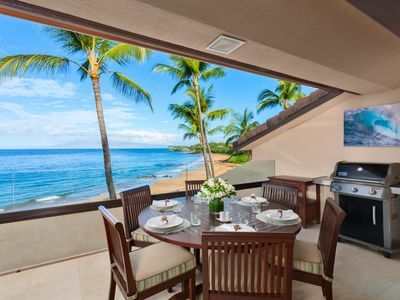 This is an open loft. The second bedroom has a bunk bed with one twin and one double mattress. Split system air conditioning in the living room only. The ceilings are high and the a/c is up at the top of the ceiling so it cools the loft really well. No a/c in the downstairs bedroom. There is a queen sleeper sofa with an upgraded memory foam mattress in the living room. 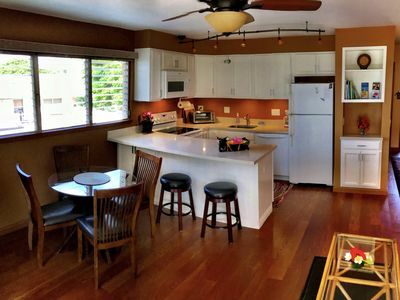 The gourmet kitchen has upgraded appliances and new tools to enjoy meals at home. Times Market is within walking distance and offers a wide array of food and beverages to inspire your meals. 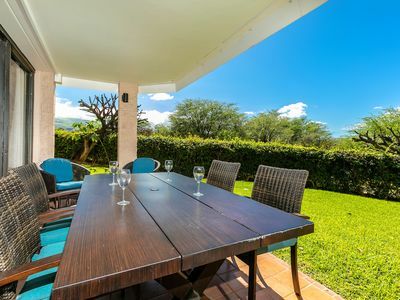 Serve your meals at the pub style seating or on the lanai; or, make friends and have relaxing outdoor meal at the well-equipped BBQ pavilion by the pool. Don’t feel like cooking? Try one of the local restaurants nearby. 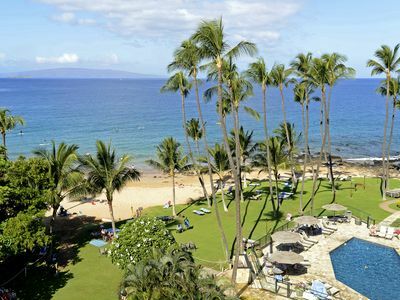 You’ll find many “ONO” rated restaurants by the Maui Revealed Guidebook within walking distance. 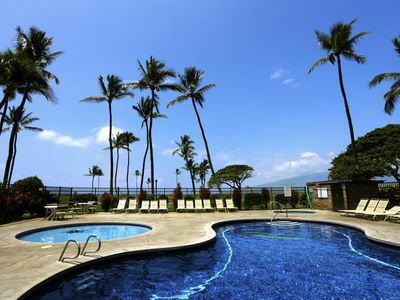 The pool area is a great place to relax in the sun and to go for a swim. 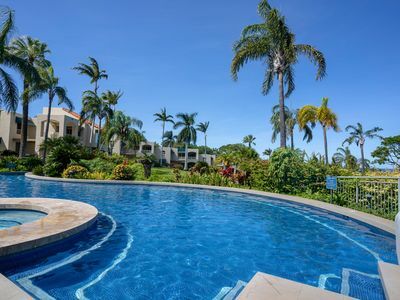 The swimming pool is heated during the colder months; not heated during the hot summer months. 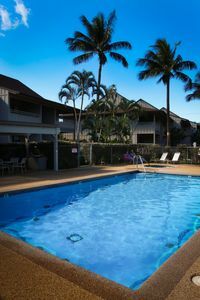 Lounge in the oversized hot tub after an adventurous day of exploring all that Maui has to offer. 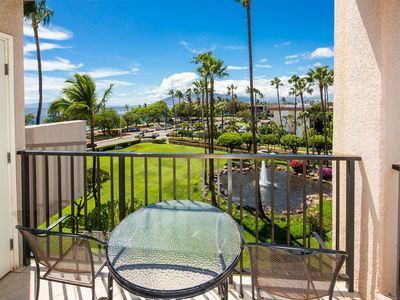 Ocean Front 2 BD 2 Bath Condo at Mana Kai Resort - 20% OFF! 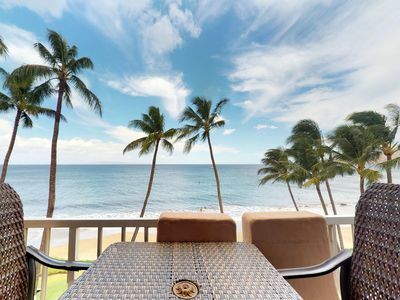 Live your DREAM in a newly remodeled getaway with a KILLER View!! 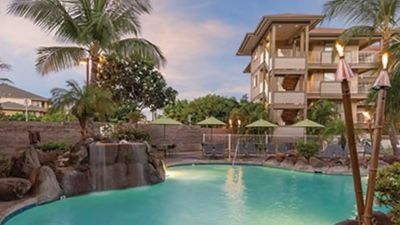 Worldmark Kihei, Maui, Hawaii - 2 Bedrooms, Sleeps 6. 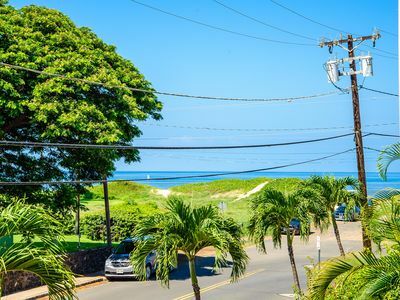 Across From Beach! 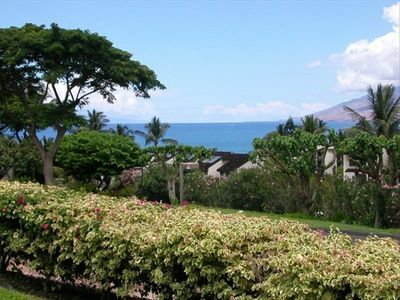 Mana Kai End Unit, Closest to Ocean- Amazing Views! 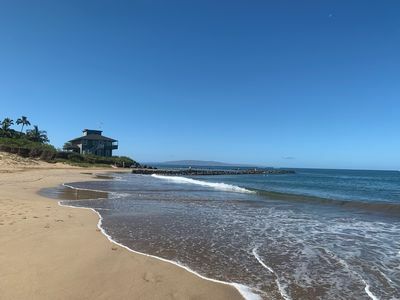 #128 Ground floor condo, easy access to best beach on Maui!